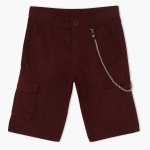 High on comfort and style, this pair of cargo pants is a must-have in every boy's wardrobe. 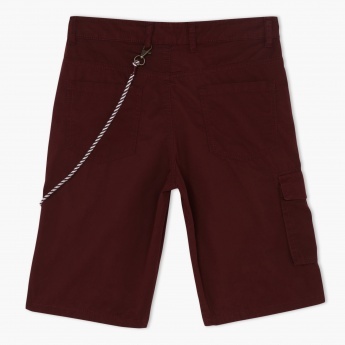 It comes with multiple pockets that add utility. The charming shade and the attached cord accent exude a distinct look.